For kitchen remodeling products and installation services that will help transform your kitchen into a more functional and aesthetically pleasing space, turn to North Pointe Interiors. 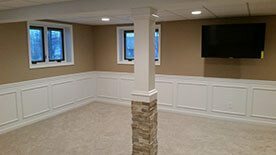 As a full-service professional remodeling company, we have the experience and capabilities to handle remodels of virtually any size or scope. We’ll then use our advanced kitchen design software to create a three-dimensional view of your design plans, so you can see exactly what your future kitchen will look like. The kitchen remodeling options we offer will give you the opportunity to renovate any aspect of your kitchen. 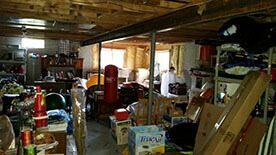 From replacing kitchen countertops and kitchen cabinets to completely gutting the room and rebuilding it from the ground up, we can do it all. 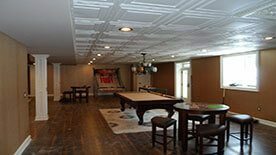 Regardless of the kitchen remodeling options you choose for your renovation, you can rest assured that the installation of your products will be managed by our expert, certified remodelers. We’ve been working with the same business partners for years, all of whom are installers we know and trust. 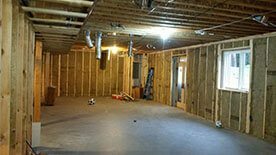 We’ll make sure you are completely satisfied with our work before we call the job finished. When you contact us about having new kitchen cabinets installed, we will take the time to learn about your renovation goals and help you find solutions that will look spectacular in your home and also fit within your budget. Our goal is to enhance both the functionality as well as the aesthetics of your kitchen, and we have the products and installation expertise to do just that. In addition to providing new cabinets, we can also refinish the existing cabinetry in your home. This means your original boxes and frames will remain intact, but we’ll breathe fresh life into your kitchen by modernizing the appearance of the cabinetry. Using state-of-the-art software, we can create a 3D rendering of your home, from which we can add different kitchen flooring, adjust colors, view different lighting arrangements, and fine-tune the features of your kitchen so that, together, we create a stunning and modernized space. 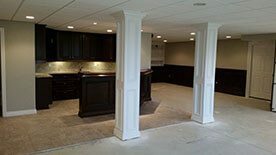 In addition to flooring, we can also remodel any other aspect of your kitchen, such as changing your kitchen countertops, replacing the cabinetry, moving fixtures, adding an island, or performing virtually any other renovation you have in mind.